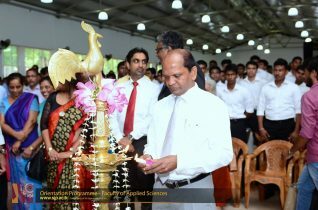 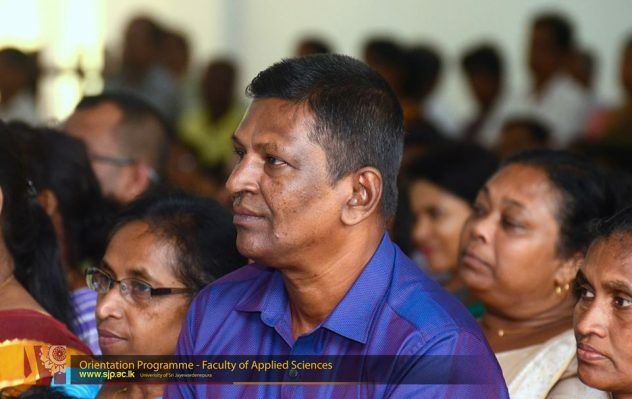 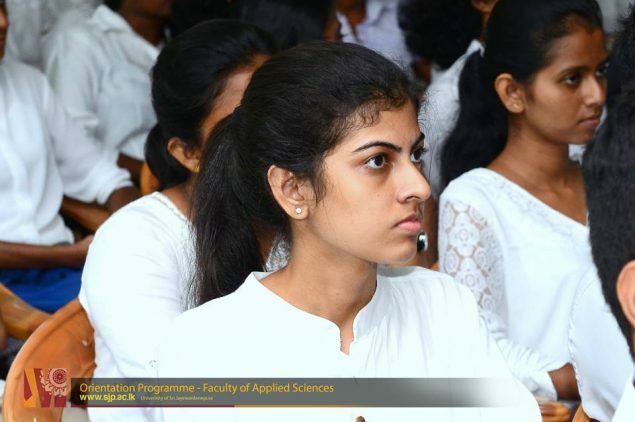 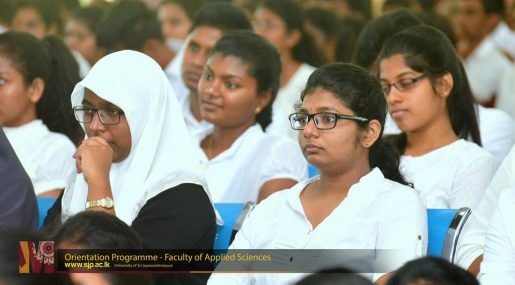 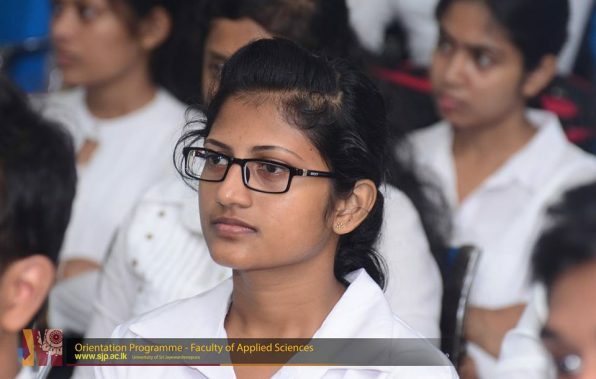 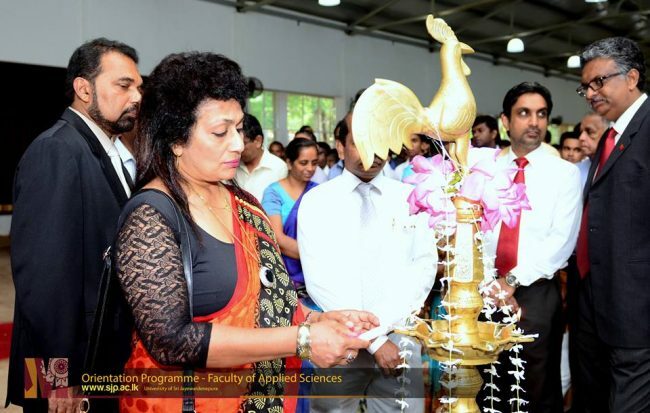 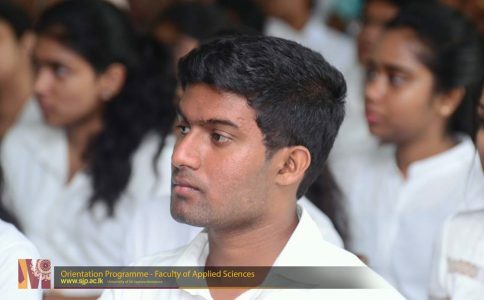 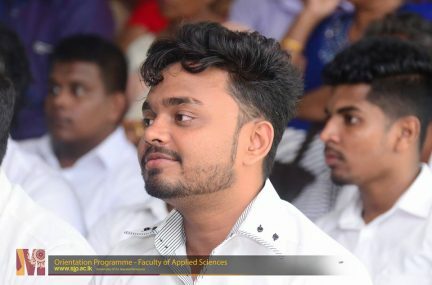 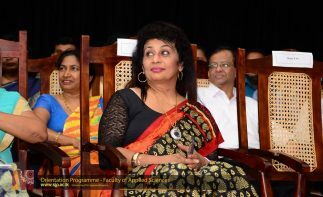 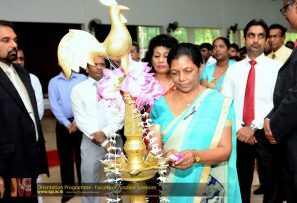 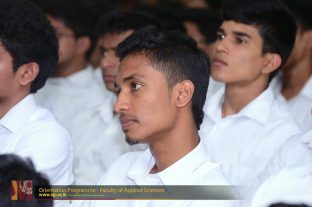 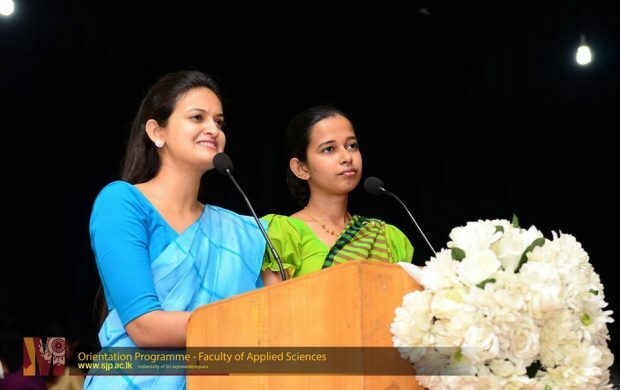 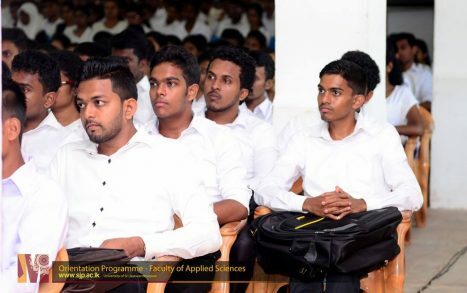 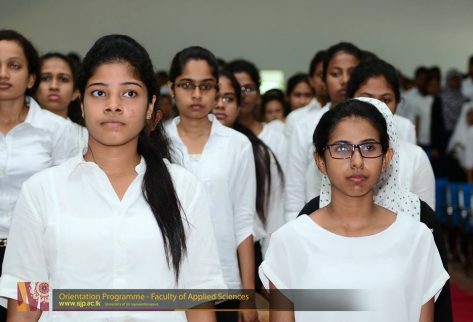 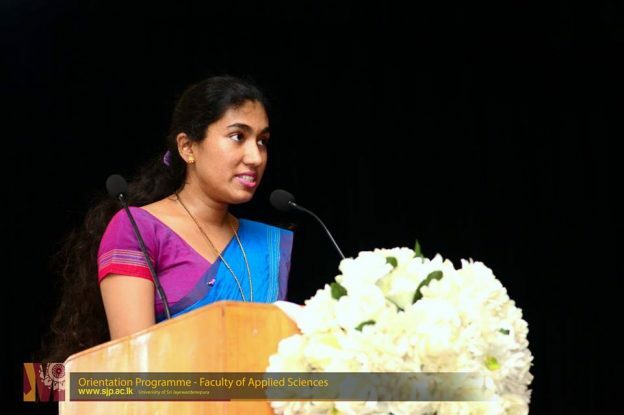 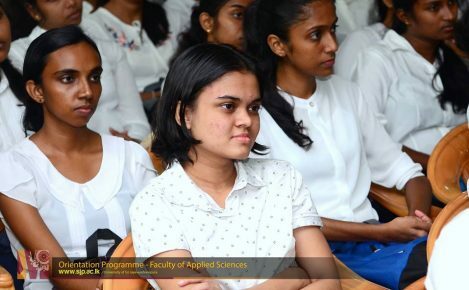 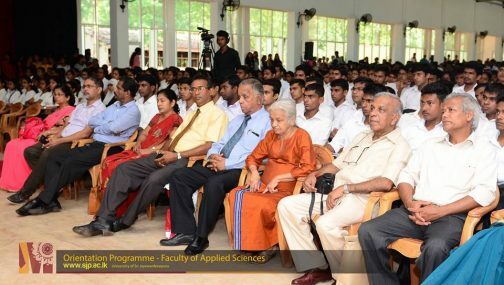 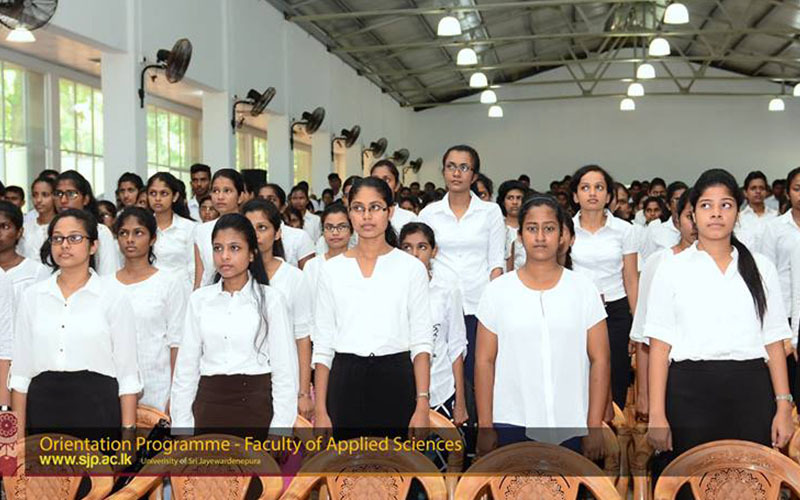 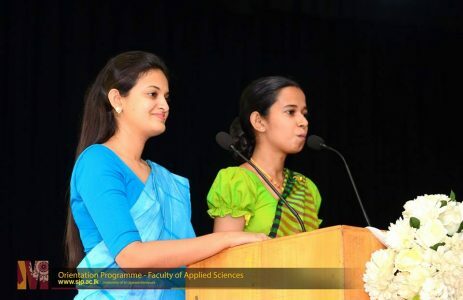 The first day of the Orientation progrmme for the new intake of the Faculty of Applied Sciences at the University of Sri Jayewardenepura was held on 21st Tuesday 2017 at the Bandaranayaka Hall. 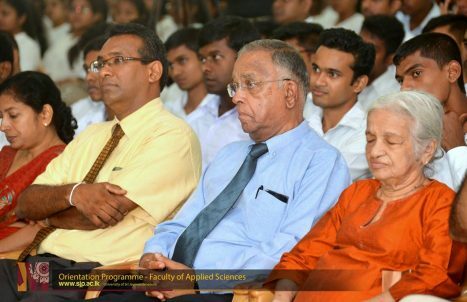 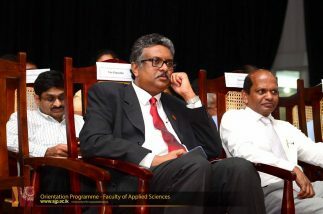 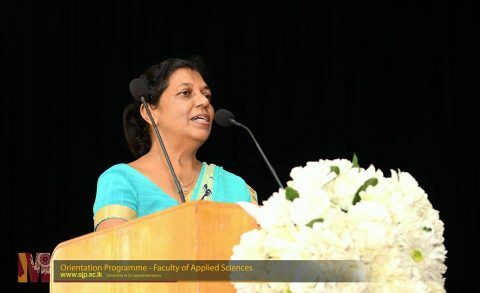 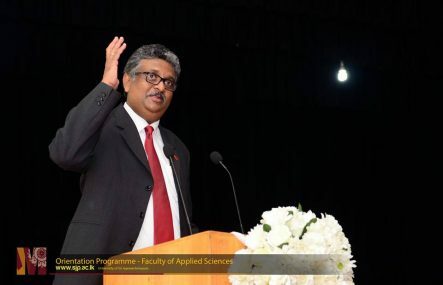 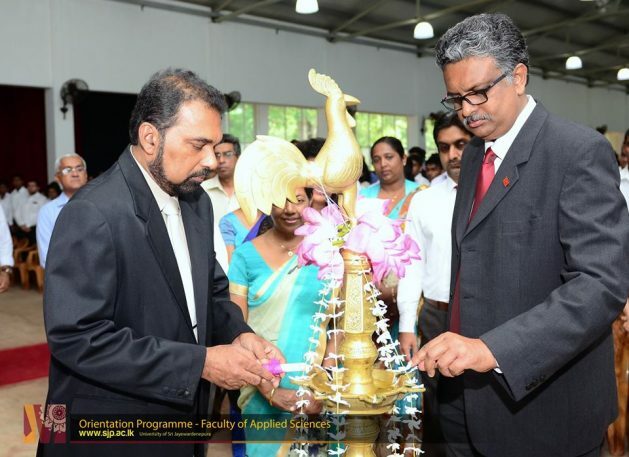 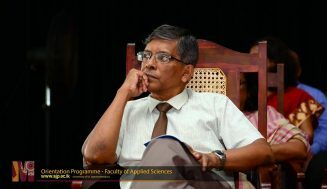 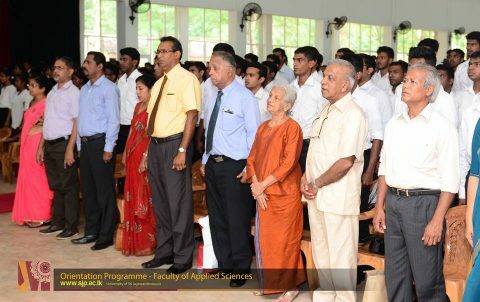 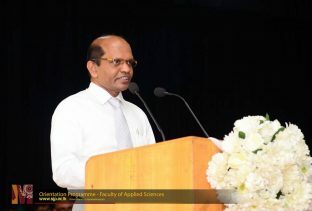 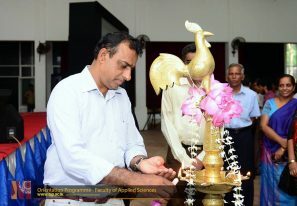 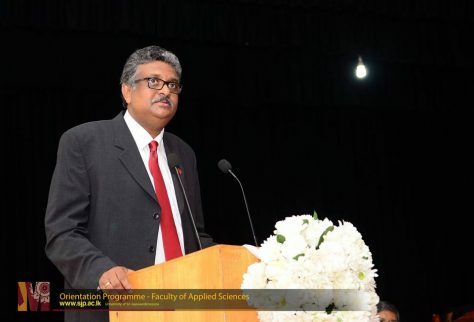 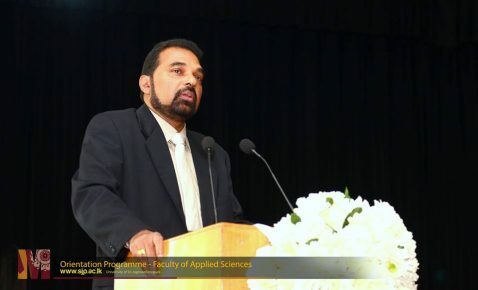 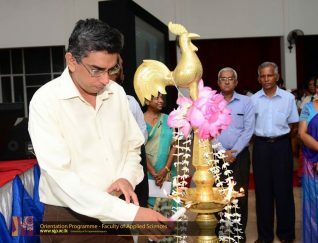 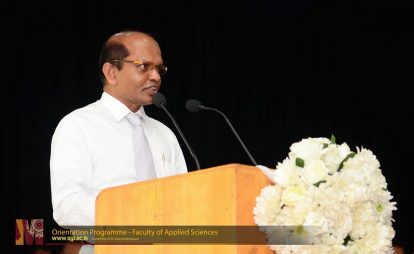 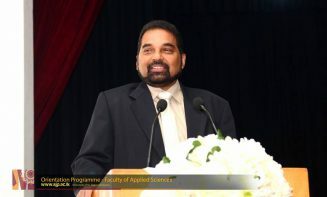 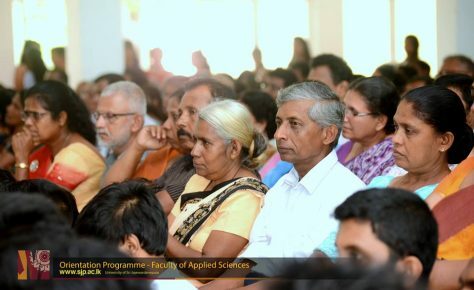 Prof. Sampath Amaratunge, Vice Chancellor of the University, Prof. Sudhantha Liyanage, Dean of the Faculty of Applied Sciences, Prof. Hemanthi Ranasinghe, Dean of the Faculty of Graduate Studies, and academic members of the Faculty of Applied Sciences participated in the first day of the orientation programme. 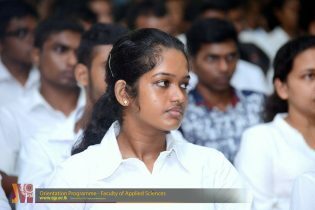 Orientation programme will be continued until 8th December 2017. 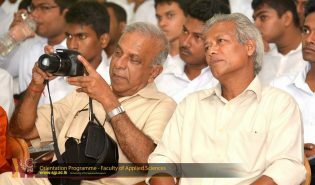 Academic work will start from 11th December 2017. 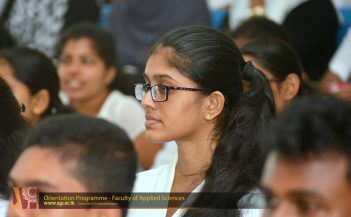 This orientation program is compulsory for the all registered students.